Affinity Photo vs Lightroom: what is the best photo editing software? Is Affinity a good and cheap Lightroom alternative? Where should you use Lightroom and Affinity Photo? Read this photo editing software comparison to find all the answers to these and other questions about Lightroom and Affinity. If you do not know what program to download in order to edit images quickly process and do batch color correction, I hope, my photo editing software review will help. I will explain why wedding photographers love Lightroom and why Instagram travelers use exclusively Affinity Photo. Lightroom is a photo editing software that provides a complete photo editing cycle, from color correction to basic image editing. Lightroom can be used as a RAW-converter, which allows you to sort and process your images very quickly. Most tools are aimed at color correction. You can change the temperature, adjust the exposure, edit the tone curve, increase or decrease the brightness, or the saturation of colors. Thanks to the support of Lightroom presets, you can process one photo and transfer its settings to other pictures. As a result, all the images will be edited in the same style. 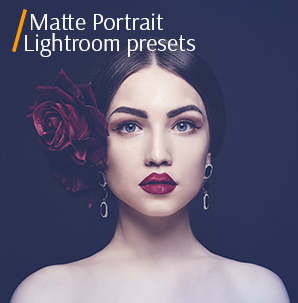 Lightroom editing software is the best program for color correction, which allows users to adjust exposure, white balance, light and shadows, regulate saturation, clarity and temperature settings. Using the “Tone curve” function, you can even add a color tint to the picture. This is a universal photo editing software, which covers all stages of photo post processing, from culling to creating video clips, photo books, etc. Lightroom is a perfect software for batch editing with the help of Lightroom plugins. With its help, you can quickly sort the pictures or apply the same effects to different photos. This is very convenient when you need to apply one effect to a large number of photos from a particular event. Working in Lightroom, you can easily import images to Photoshop, retouch them and send back to LR. Import RAW files into Lightroom and save time without transferring your photos to file format converters. 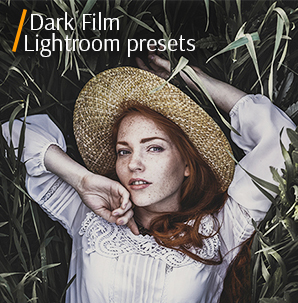 Lightroom support all file formats except Adobe Illustrator, Nikon scanner NEF, and files with dimensions greater than 65,000 pixels per side or larger than 512 megapixels. It ensures effective work on any photo editing laptop giving you all the necessary tools for fast work. The Exposure tool linearly shifts the brightness of the image in one direction or another, affecting the light areas – the rightmost edge of the histogram. Thus, using this tool, you can set a “white point” of the image and adjust the overexposed part of the frame. If the frame is darker or brighter than normal, you can correct it using the Exposure slider. Moving the slider to the right, the photo becomes lighter, to the left - darker. Increasing the exposure, you increase the noise, so you need to work very carefully. By reducing the exposure, you can pull out some of the details of overexposed areas, but only to a certain extent. If the area is too overexposed, the colors will be seriously damaged. If your picture looks flat and slightly contrasting, you will need this tool. It influences the contrast of the image. Moving the slider to the right, the image becomes more contrast, if you drag it to left, the photo becomes softer. Remember that the tool affects the contrast of the image in mid-tones, while not affecting the brightest and darkest tones. This tool adjusts the white balance. Use it if the whole frame looks yellowish or bluish. You can also use the “Auto” feature to make Lightroom determine the optimal balance itself, but the program is often mistaken and can set the wrong balance. In addition, you can use the built-in presets for different situations. For example, you can apply “Flash” preset to photos taken with a flash, “Cloudy” filter for images taken on a cloudy day to give them warmer shades, etc. Apart from White Balance, Lightroom photography software has additional tools, Temp and Tint, which can adjust the temperature of your image, tint and white balance in more detail. With the help of Shadows & Highlights, you can lighten dark and mute very bright areas of the image. This may be, for example, a portrait of a person against a bright sky or, on the contrary, a light object against a dark background. In the case of a portrait, you need to mute the sky and highlight the person a little. This way you can get a good photo almost from a very bad shot. Still, if the shadows are too deep, while “pulling them out”, noise grows proportionally. On the contrary, if bright colors are overexposed too much, the information there will be irreparably lost. Blacks & Whites work the same way as Shadows & Highlights, however, Blacks & Whites affect the darkest and lightest shades, while Shadows & Highlights affects shaded and highlighted areas. If you move one of them to the left, it will increase the tonal range of the image, making it darker and more contrast. By moving the slider to the right, you will compress the dynamic range. The dark areas and the shot will become lighter, and the contrast will decrease. With this tool, you can increase the details and add an effect similar to HDR. I recommend using it for landscape or street photos. The only situation when I don’t recommend using this tool is the pictures in which you don’t need dynamics and accentuated details or structure. For example, a female or child portrait, in which the softness of lines is more important than their clarity. This is a brush that allows you to apply certain edited parameters to manually selected parts of the image. In fact, you set the parameters of the brush and then just draw using it, thus highlighting the area which is affected. All these adjustments are similar to the gradients on the Basic Panel. There is nothing better than Lightroom when it comes fixing minor flaws to give your photo a professional look. Tone Curve is a powerful tool that can replace such tools as Exposure, Contrast, Blacks & Whites, etc. Using it, you can adjust the light/shadow and contrast in the photo more accurately. The Hue, Saturation and Luminance tool (HSL) allows you to edit individual color ranges of photos. Using it, you can adjust the hue, saturation and brightness of the particular color. Thanks to this tool you can change the color gamut of the image. Use it to create your own photo style, or to properly combine several colors. Cropping in Lightroom is very convenient, as it does not change the original image permanently and you can create multiple virtual copies of an image cropped in a variety of ways. Thus, you get a chance to choose the suitable cropping option, which will be able to emphasize something that you want to tell by your photo. Using this tool, you can apply certain effects and properties to the image, change the temperature, color, shadows, clarity, etc., in the form of a gradient. You can darken the lightest part of the picture and thereby reduce the dynamic range of the photographed scene. For instance, thanks to the gradient and Shadows effect, you can darken the necessary part of the image, after which the gradient smoothly “moves” from the darkened area to the original image. Basically, this tool in Lightroom editing software is used to replace the selected area with a similar one. The tool has two functions for removing stains: cloning and restoring. Select the tool and point the marker at the defect. There will appear a second marker, which you can move to select the area that is the most suitable to replace the defect. Working with presets is the main strength of Lightroom. Presets are sets of changes that can be applied with one click. Moreover, a preset can be created both for color correction and for filling in data about the photographer, or even for setting a list of criteria for filtering pictures. For example, you can indicate the information about the author (name, website address, copyrights, etc.) for a hundred of photos in one click. 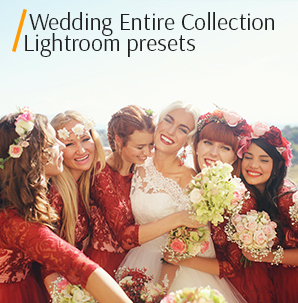 Lightroom has several standard presets that are subdivided into several groups: Color, Creative, B&W, Curve, Grain, Sharpening, Vignetting, which include various variations of these plug-ins. The presets can be exported and shared if needed. There are lots of free and paid LR plug-ins available on the web. Read more about how to add Lightroom presets, how to use and where to download mobile Lightroom presets, and how to create Lightroom presets on your own. If you want to edit your photos quickly and easily, but do not know how to do it, I recommend you using FixThePhoto free presets for Lightroom. This preset is perfect for various holiday events. 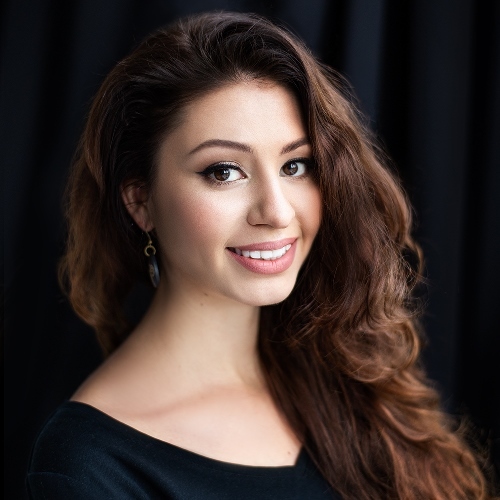 It will add a cozy atmosphere to your photos and correct skin tone. You can get a picture with warm and soft shades. You can greatly soften the tone and create a light image mood by using this preset. It is suitable for any photography genre depending on the photographer’s needs. This preset will create a special matte paper effect. The preset can create a nostalgic mood in your pictures. It adds saturation by highlighting the center of the image and removing additional shadows. Affinity Photo is a raster graphics editor that supports all common color spaces - RGB, CMYK, LAB and Greyscale. Affinity Photo offers RAW image file processing, color space settings, live previews while the effects are being applied, and image stitching, alpha compositing, black point compensation, and optical aberration corrections. Affinity is often called the best RAW editing software, but it also offers other useful features such as the possibility to mix HDR images, create panoramas, and combine focus. Moreover, it has tools for professional image retouching, batch processing, editing PSD files, digital painting, as well as image editing with a 360° coverage. Easily arrange all file folders without interrupting your photo editing workflow. Batch editing is done in the background mode, so you can process hundreds of files and keep working on other projects. In addition to the basic lightening, burning, cloning, patching and removing stains or red-eye effect tools, you can use photo retouching features as a magic drawing brush, frequency separation option and a full set of other photo retouching tools. You can edit RAW files in a specific workspace, applying all adjustments and making all the necessary changes in the infinite linear color space. Affinity Photo features more than 120 brushes for professional use. Each brush adds a certain effect to your photo including ink, paint, bristle imprints, etc. Average users or beginners who need a software for personal needs rather than for commercial work will like Affinity Photo. A very understandable interface, a set of popular tools without excessive functionality. It is used to adjust the overall exposure of the image, change the black point and general brightness. The exposure should be of such value that your camera can get the optimum amount of light to capture the maximum range of brightness for your photo. If you set the wrong exposure and the photo is too light - move the slider to the left and the photo will become darker, and if you move the slider to the right - the image will become lighter. This tool includes Contrast, Clarity, Saturation and Vibrance. Thanks to Contrast, you can add volume to your photo. The function affects the contrast of the image in the mid tones, without affecting the lightest and darkest parts of the photo. Clarity allows you to make the image clearer by adjusting the contrast in certain areas along the contours of objects. If you need to change the color saturation, then drag the “Saturation” slider to the left to decrease the saturation, and to the right to increase it. If you are not satisfied with the intensity of color in your photo, you can adjust the Vibrance by dragging the appropriate slider. If there were problems with white balance at the shooting and your photo got a blue, yellow, green or red shade, do not worry, you can fix this with the White Balance tool. White Balance - used to control the "temperature" of the image. If your photo is too cold, drag the slider to the right to add warm tones. With the Tint tool, you can add more purple or green shade. This can be useful if you need to remove unwanted shades, especially if the picture was taken under artificial light, for example, with incandescent or fluorescent light. If the photo contains both light and dark objects, feel free to use the Shadows & Highlights tool. Thanks to this tool, you can adjust the intensity of the darkest and brightest areas in the picture. Using this tool, when setting up, you will get a more balanced, contrast image without overexposure and blackouts. However, there are cases when the photo is too light, so you need to move the Shadows and Highlights sliders to the left. Curves is a tool that gives you more control over hues and contrast in your photos. Using it, you can adjust the entire tone range of the picture, from shadows to highlights. For example, if you want to darken the halftone, then simply click in the middle of the tone curve and drag it down. As you drag the curve, the image will become darker and darker. We get a similar effect when we decrease the exposure value. If you, for example, want to make the shadow brighter, then select the left third of the curve, which affects the shadows, and drag it a little upwards. Since the tool is very sensitive, I recommend making the shape of Curves smooth. If you make it steeper, the image will get too unnatural colors and saturation. Affinity Dam has the Black&White tool that you can use to convert a color image to monochrome, fully controlling the changes of individual colors. Using the sliders, you can adjust the light level of specific color areas of the image. To darken areas of a certain color, drag the slider to the left, and to brighten them - to the right. For example, if you need to darken a dress that was red, simply move the Red slider to the left to adjust the correct balance in the photo. Split toning can be represented as toning of lights and shadows in a photo in two different colors. Split toning slightly differs from toning, which works in such a way that only one color is added to the image. With this tool, you can achieve the effect of an old photo. With the help of split-toning, you can stylize photos in such a manner that cannot be achieved with any other tool. You can adjust the color of the highlights and shadows and adjust the intensity of the colors. If you have gone too far with the ISO value and there is noise in your photo, then with the help of Noise Reduction feature you can reduce or remove the grain from your photo. The noise reduction function, roughly speaking, “clears” the signal received by the camera. You must understand that it is impossible to get rid of the noise completely, because the signal cannot be perfectly clean, so you should not twist the slider to maximum. However, many people like this “dirty” photo style, so if you need to achieve the opposite effect and add noise to the image, feel free to use the Noise Addition tool. All lenses produce geometric distortions. If you’ve noticed a strong distortion in your photo, then use Lens Correction to fix it. If you take portraits or landscape images without straight lines, then the distortion is almost unnoticeable. Geometrical distortions are most pronounced at wide lens angles. Lens Correction is used to correct various types of lens distortion by straightening and aligning lines in an image. However, some lenses produce distortion and it is their peculiar feature, for example, a well-known “fish-eye” lens. Using Lens Correction, you can achieve a partially similar effect. Chromatic aberration is a defect that results in the decrease in the image clarity, and sometimes the appearance of stripes, color contours, spots, etc. Compared to Lightroom photography software, Affinity Photo has the Defringe option, which helps eliminate chromatic aberration by aligning blue, green and red color planes. The “Remove Lens Vignette” adjustment is used to correct unwanted vignetting by changing the brightness at the edges of the image. Using the “Post-crop vignette” adjustment, you can achieve the same effect in cropped images. You can adjust the intensity, scale and rigidity for the tool. You can find paid and free presets for Affinity Photo in online stores or personal blogs. The image editor offers several options of built-in presets. Default – Natural, Detailed, Cool, High contrast black and white, Dramatic. Extreme – Maximum Local, Black & White Sketch, All Local No Global, Flat Whites, Maximum Grit. Crazy – Cruel and Unusual, Acid Bath, Neo-Gothic Novel, My Eyes See In HDR, Things I Will Forever Regret, Saturated Sepia. The installation is fast and simple. Having downloaded the preset, go to Tone Mapping Persona, open the presets menu and click "Import presets." Choose a new preset and start working. Don’t download Lightroom torrent, view more about how to get free Lightroom in several easy and legal ways. Affinity Photo and Lightroom are two photo editing softwares configured for different tasks. Affinity is aimed at deep work with one shot, while Lightroom, on the contrary, is designed for fast photo color correction. If you are shooting in RAW format and the only methods of image editing are cropping, skin defects neutralization and color correction, Lightroom is a great variant for you. Nevertheless, if you are engaged in professional photo editing and retouching, Affinity Photo is an ideal option.